Two weeks of climbing and mountain biking on some of the best rocks and trails in the East Coast: Carvins Cove, Pandapas Pond, Bozoo, and our local adventure capital: the New River Gorge. 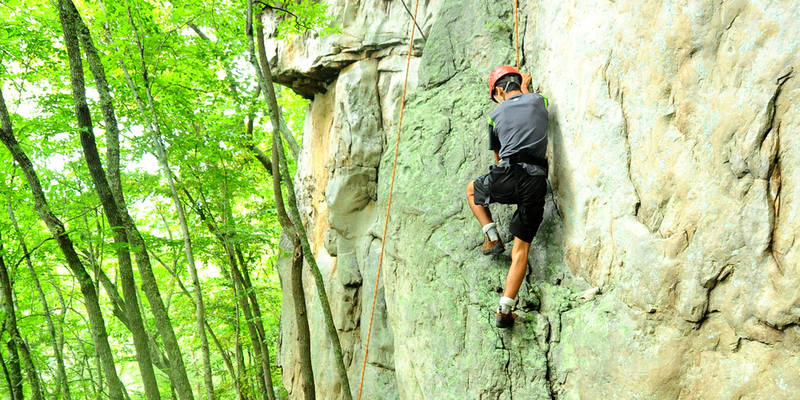 Designed for climbers and bikers aged 14-17, this specialty trip is for the bold at heart. An introductory to intermediate level of experience in climbing and biking is encouraged. Just like on all Wilderness Adventure trips, Rock & Roll is a fully outdoor experience. You will camp in backpacking tents, cook backpacker meals on Whisperlite stoves, and share the accomplishments of each day with your group and leaders by the fire each night. On this specialty trip, however, you will push yourself further than before to "shred the gnar" and find yourself capable of achieving goals specific to important skills in climbing and biking. Your leaders, bike instructors, and climbing instructors are some of the best trained, experienced, and personable guides in the industry and each strives to foster your individual growth through engaging instruction, appropriate climb and trail selections, and one-on-one attention. Rock & Roll begins on Base Camp with a brief but thorough introduction to your group's dynamics, Wilderness Adventure style backpacking, climbing technique, belaying, biking, and bike maintenance. 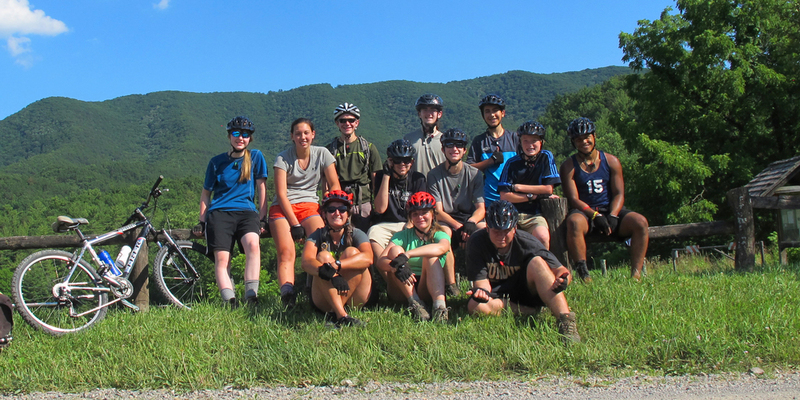 The group, comprised of up to 12 participants, 1 female leader and 1 male leader, then venture off-site to a few full days of single track riding and rock climbing in the mountains of beautiful Southwest Virginia. As your skills and strength increase, you'll be ready for the next step: The New River Gorge in West Virginia, an area steeped in history and full to the brim with adventure at every level. At the 'Gorge you will have 6 days of access to hundreds of climbs, miles and miles of single track, and the pure joy of an adventurer's lifestyle in one of the most revered landscapes in America. When your muscles have had enough you will celebrate with an exhilarating rafting trip down the Lower New River Gorge. Just like all of our trips at Wilderness Adventure we provide all of the gear needed for the trip. For Rock and Roll we provide backpacks, sleeping bags, tents, cook gear, and all of the biking and boating gear needed. You can check out our Packing List for more information about what you might need to bring to camp. For the Rock and Roll trip we would recommend a climbing harness and Helmet.